Riding a motorcycle presents its own set of challenges and issues, and intersections can be particularly dangerous for bikers. Stay safe with the following tips. Assume that no one can see you. 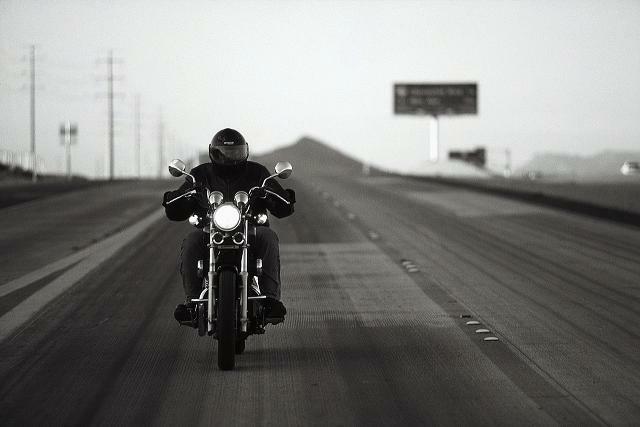 While driving defensively is always a good idea, when you’re on a motorcycle, it’s a must. With all the distractions that car drivers have, they often aren’t paying attention like they should—and if you’re on a bike, you’re likely to lose in an accident. Make yourself visible: turn on your headlight, wear brightly colored clothing and gear, and use hand signals as well as your bike’s turn signal. As you approach the intersection, be sure to stay out of drivers’ blind spots. 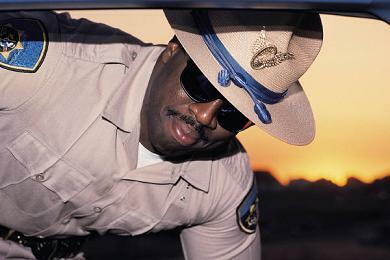 Changing your lane position once or twice increases your visibility to those around you. Even a slight variation in your position will get the attention of drivers. 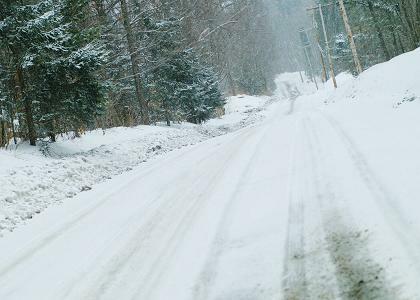 If you anticipate possible trouble spots as you ride, and create an out for yourself, you’ll know exactly what to do in case you have a problem. For example, if you ride in the middle lane, you have an extra lane to move into if you need it. If you ride a specific route each day, you’ll learn the traffic patterns and trouble spots and know what to do to have a smoother and safer ride. As you enter an intersection, slow down. Drivers turning left in front of bikes cause a large percentage of accidents, and if you’re riding fast through an intersection, you have less time and space to slow down. 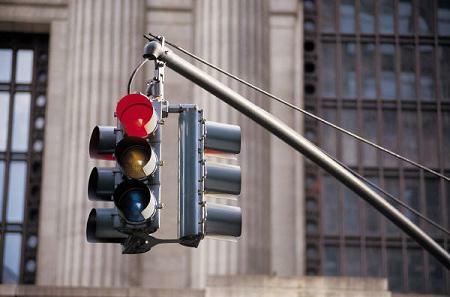 Don’t assume that no turn signal means no turn; many drivers fail to use them. Slow down and look in all directions as you proceed through the intersection—and do not change lanes while you are in the intersection unless absolutely necessary. If you are at the front of the line when the light turns green, look both ways before proceeding in case someone runs the red light. Always allow more space than you need. Never tailgate, and stay as far back from the car in front of you as possible. If a vehicle is tailgating you, pull over and let it pass. You do not need to prove a point to anyone, and road rage is something you want to avoid, especially while on a bike. Not only is it illegal in many states, it’s dangerous. It might save you a few minutes, but you run the very real risk of someone pulling out in front of you or hitting you. It’s not worth it. As South Carolina motorcycle accident attorneys who also ride, we know how challenging it can be to ride. Stay safe! Mild in the winter and cool in the summer, the Russell-Brasstown Scenic Byway in northeast Georgia is a 40-mile cruise that winds through the Chattahoochee-Oconee National Forest in the Appalachian Mountains. Magnificent views, cool waterfalls, and majestic forests make this a trip not to be missed, and you’ll cross the Appalachian Trail on your journey. The byway begins north at Robertstown and runs along SR 17/75, then goes southwest along SR 180, southeast along SR 348, and ends at SR 75 Alternate. Along the byway, you can visit several state parks, the Tray Mountain Wilderness, Raven Cliff and Anna Ruby Falls, and Brasstown Bald. Other areas to explore include High Shoals Creek Falls Scenic Area, Smithgall Woods-Dukes Creek Conservation area, and Yonah Mountain. With over 1200 acres, Unicoi and Vogel State Parks are two of Georgia’s most popular protected areas, with campsites and cozy cottages. Vogel also has trailer and RV sites. In these parks, you can hike, swim, play tennis, and go fishing while you take in the spectacular scenery. In the autumn, you’re treated to the changing colors in spectacular fashion. Hiking trails abound in the Tray Mountain Wilderness, making it the perfect spot to watch wildlife. If you love waterfalls, the three Raven Cliff falls—one of which flows through a split in solid rock—will take your breath away. The Curtis and York creeks merge in dramatic fashion at Anna Ruby Falls, and you’ll enjoy picnic areas and a visitor center there. One of the most spectacular views is on top of the 4,784-foot high Brasstown Bald, Georgia’s highest mountain peak. You can hike the trail up the mountain, or you can take the tour bus. Its large observation deck gives you a 360-degree view of the mountains and timberland year-round. You’ll see the North Georgia Mountains, the Blue Ridge Mountains, the Rich Mountains, and Lake Chatuge in the Enchanted Valley. As you descend Brasstown Bald, you’ll see Track Rock Gap with its 10,000-year-old petroglyphs. As motorcycle lawyers who also ride, we’ve been on many of America’s byways, and the Russell-Brasstown is one of our favorites. 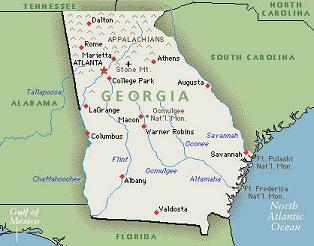 Click here to read more posts about great scenic routes for motorcycle trips. Many bikers do not understand their motorcycle insurance, and in case of accident, insurance companies take advantage of that lack of knowledge and do not pay victims what they are entitled to receive. Not understanding insurance also causes bikers to carry more or less insurance than they should. Before you drive your bike again, take a moment to review your motorcycle coverage. In South Carolina, all motorcyclists are required to carry liability insurance to cover bodily injury and property damage. The minimum amounts are $25,000 of bodily injury coverage per person, $50,000 of bodily injury coverage per accident, and $25,000 of property damage coverage per accident. This is referred to as 25/50/25. Remember, these are state-mandated minimums. To determine whether 25/50/25 is sufficient coverage, think of how often and where you ride. Do you usually carry a passenger? Now think of a possible accident during a typical ride, and the bodily injury and property damage that could occur. Knowing that motorcycle riders are often hurt in accidents, do you think that coverage is adequate? 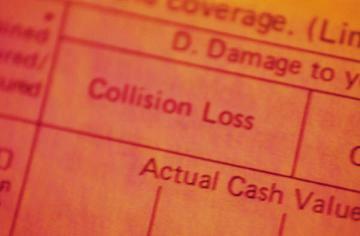 Would the minimum property damage coverage replace your bike as well as repair a car you might hit? Another option to pay for medical expenses is medical payments coverage. This pays for reasonable healthcare and funeral expenses for you and your family, even if you are at fault, for a period of one to three years. Uninsured and underinsured motorist insurance ensures compensation for accidents where the at-fault driver is underinsured or uninsured, including hit-and-run accidents. In South Carolina, uninsured / underinsured coverage is portable, meaning it may apply to not only car accidents (whether you are the driver or passenger), but also motorcycle and pedestrian accidents. 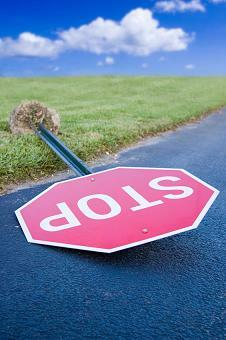 The law requires uninsured motorist coverage, while underinsured motorist coverage is optional. The first step to ensure you have the proper amount of motorcycle insurance is to look at your riding habits and determine how much will adequately protect you. In order to receive the compensation you and your family are entitled to, it’s important to know what your policy covers. Was this post helpful? Share it with your friends on Facebook. Motorcycle associations give bikers a chance to connect with other enthusiasts and share information, discuss their travels, or simply show off photos of their bikes. We looked for the top three organizations and found that all of them offer incredible benefits to their members. The AMA is the world’s largest motorcycle organization, and its mission is to promote and protect the motorcycling lifestyle, from weekend riding to crossing the world by bike. The Association was founded in 1924 and currently has over 225,000 members, most of them long-time riders with over 1 billion miles ridden collectively. 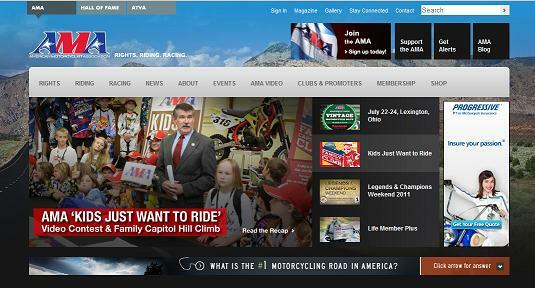 The AMA employs a full-time staff to defend bikers’ rights and is influential in guiding legislation that affects bikers. The lengthy list of members’ benefits and discounts includes . . .
Email newsletters, magazines, and an exclusive members’ area on its website. Sponsorship of racing and riding events. Medical and insurance coverage while participating in AMA events. Discounts on products and services such as garage floor coverings, rain chaps, insurance, motorcycle lifts and transport, and lodging. Part of the North American Membership group of clubs, the MRCA focuses on helping its members build, customize, and ride. With more than 80,000 members, the Club caters to motorcycle enthusiasts and offers them a way to communicate, network, and learn from each other. The ability to test, review, and keep new products, such as boots and toolkits. An active online forum for members to share their expertise and accomplishments. 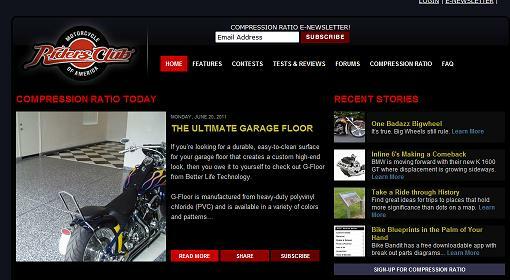 Exclusive Club newsletter, Compression Ratio. Yearly subscription to Rider Magazine. Facebook page to comment and share information. 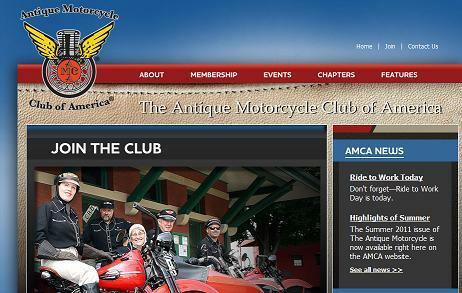 Founded in 1954, the AMCA has over 11,000 members and 54 affiliate chapters worldwide dedicated to the “preservation, restoration, and operation of old-time motorcycles.” Antique or vintage motorcycles are at least 35 years old, and membership is open to anyone with an interest in vintage motorcycles, including those who don’t own one. AMCA benefits include . . .
Local chapter-sponsored meetings, shows, and road runs. National swap meets and road runs, seminars, shows, and races. AMCA Virtual Motorcycle Library with historic documents. The Antique Motorcycle quarterly magazine with expert information and advertising. Discounts at U.S. motorcycle museums. Which organization is your favorite and why? How Long Do You Have To Wait At a Red Light? If you drive a motorcycle, moped, or bicycle, you’ve probably experienced a situation where your bike wasn’t heavy enough to trigger a traffic signal change (when you drive up to the red light you have to wait longer than average for the light to turn green because the sensors in the ground are not triggered due to your low weight). Well I’ve got good news! You don’t have to sit at these drastically long traffic lights forever. SECTION 56-5-970. Traffic-control signal legend. (b) exercises due care as provided by law, otherwise treats the traffic control device as a stop sign, and determines it is safe to proceed. 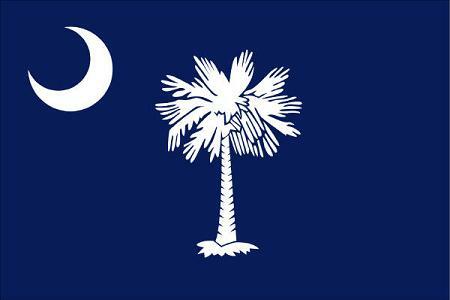 Visit SCStateHouse.gov to view more South Carolina Laws. 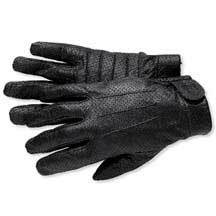 Men’s Perforated Full-Finger Gloves: These Harley-Davidson® perforated leather gloves are not only attractive, but they’re also supercomfortable and a great motorcycle accessory to have during long road trips. Image above taken from the Harley-Davidson® website. Product can be purchased on website. 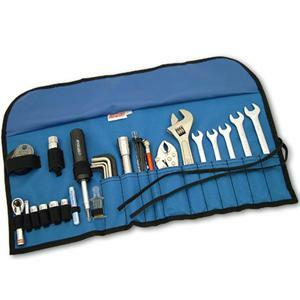 The Cruz Tools Roadtech H3 Tool Kit: Complete with “the top-grade PowerDrive™ combination wrenches, an adjustable wrench, locking pliers, LED flashlight, tire gauge, hex and Torx keys, screwdriver and more,” this tool kit is the ultimate Father’s Day gift. Image above taken from motorcycle-superstore.com. Product can be purchased on website. The Rapid Transit The Stack LT Motorcycle Tank Bag: Equipped with a magnetic mounting system, the 2-in-1 Rapid Transit The Stack LT Motorcycle Tank Bag is ideal for leisurely motorcycle trips. The bag features some great compartments for cell phone and eye wear storage. Image above taken from BikeBandit.com. Product can be purchased online. 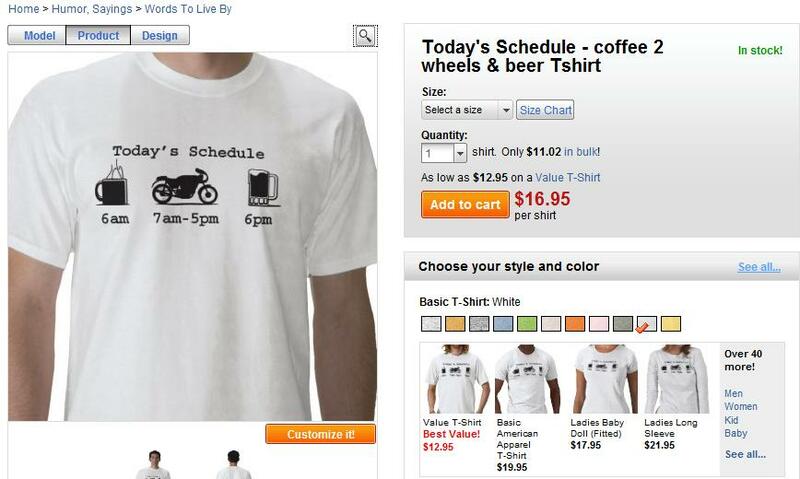 Motorcycle T-Shirt: For the dad who has every motorcycle accessory you can think of, why not get him a shirt he’ll love? Screen grab above taken from Zazzle.com. Product can be purchased online. MotoCentric Centrek 1 PC Rain Suit: Keep your dad safe on the roads with the MotoCentric Centrek 1PC Rain Suit. 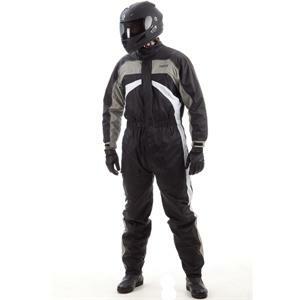 Great for rainy weather conditions, this one-piece rain suit keeps motorcyclists comfortable and dry. The suit is also equipped with reflective pieces for greater driver visibility. Image above taken from motorcycle-superstore.com. Product can be purchased online.